Many of those interested in taking a Jamaican vacation may have looked at the option of all inclusive packages. While many of these packages may sound enticing because of the low rates, these packages will be missing one important thing...the experience of true Jamaican culture, food and people. Many all-inclusive packages offer a single price for many different activities. These expensive all-inclusive packages a number of luxury restaurants. These packages often include buffet dining, drinks, beer, wine, and liquor. But for all that you would only have to visit restaurants and clubs in your local area! If you are going to come to Jamaica, why not experience Jamaica as it truly is! A wonderful, vibrant culture full of flavor, song, tradition! All inclusive resorts may boast that they offer tennis and squash courts, gyms and work-out facilities. While these may be offered free of charge, the steep price of the packages will certainly make up for the gratuities. Why not get your work-out hiking through the Jamaican Forest, swimming in the surf, or running on the beaches that are truly Jamaican. Be a traveler, not a tourist! For those who do wish to golf while in Jamaica, there are many resorts and courses that may be visited without paying steep prices of all inclusive resorts. For those who would like to Sail or water-ski while on their Jamaican Vacation, there are many shops along Negril Beach that rent equipment for very reasonable prices, with reservations and without contracts that you'll be locked into when staying at an all inclusive resort. When looking at and all-inclusive package, check to see what's included and you'll find that there's nothing in those packages that you can't experience in true Jamaican form when staying in a Jamaican villa on Negril Beach. 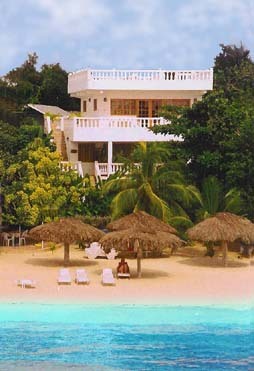 Negril Beach is also world famous for scuba diving and snorkeling. 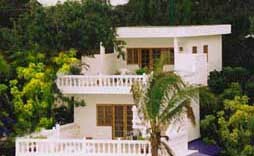 And when you stay in a Jamaican Villa, you'll have access to many dive certification and instruction school, scuba equipment rentals and dive shops right on Negril Beach! Do yourself a favor when you come to Jamaica, stay in the real Jamaica, not a resort that excludes you from it's true island culture! Speaking with your doctor before a trip can be a very important thing when traveling to many countries. . For example, in many countries you must take extra precautions when drinking the local water. This also includes other beverages made from water or containing ice. However, the local water in Negril Jamaica is safe to drink, as it comes fresh from underground springs and is free from contamination. If coming to Jamaica for your Honeymoon, it is advisable to bring your marriage certificate. This may allow you to benefit from special discounts and offers designed for those on a Jamaican Honeymoon.